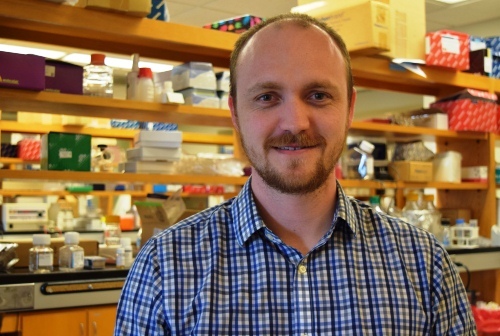 Haydn Kissick, PhD, a senior research associate in the Departments of Urology, and Microbiology and Immunology, and a member of the Winship Cancer Genetics and Epigenetic program, is the recipient of a K99/R00 grant from the National Cancer Institute. The $1 million, five-year award will be used to study how epigenetic mechanisms control exhaustion of T-cells in prostate cancer. The award is given to around 30 outstanding young researchers each year who are in the early stages of independent research careers. Early support for the research project came from Swim Across America, The Prostate Cancer Foundation, and a Winship pilot grant funded by the Dunwoody Country Club.